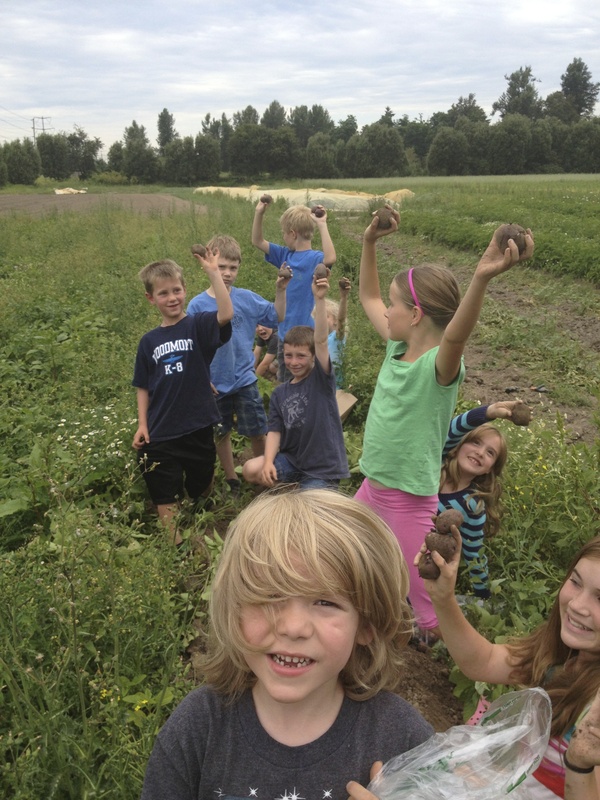 Farm Kids digging digging potatoes! 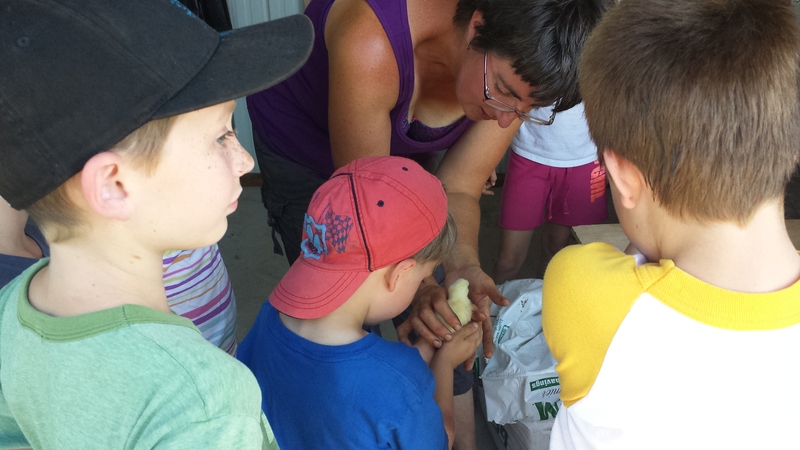 In 2014, we piloted our summer Farm Kids Club for children of our CSA members. This is a fun way to learn about plants and animals on the farm and the importance of knowing what goes into our bodies and the web of life around us. Sow seeds, pick vegetables, pull weeds, look for wildlife, learn about the vegetable family tree, brand a pumpkin, and explore the farm. These are just a few of the possibilities that await. • Start seeds from three plant families in plastic terrariums and compare growing plant structures. • Learn about the Plant Family Tree: realize how few plants we use for food in modern times, compared to what was used at the dawn of civilization. Wonder: How did this happen? • Ponder Which Came First? : The chicken or the egg? The plant or the seed? • Shades of Green and Red: Why aren’t there any blue vegetables? 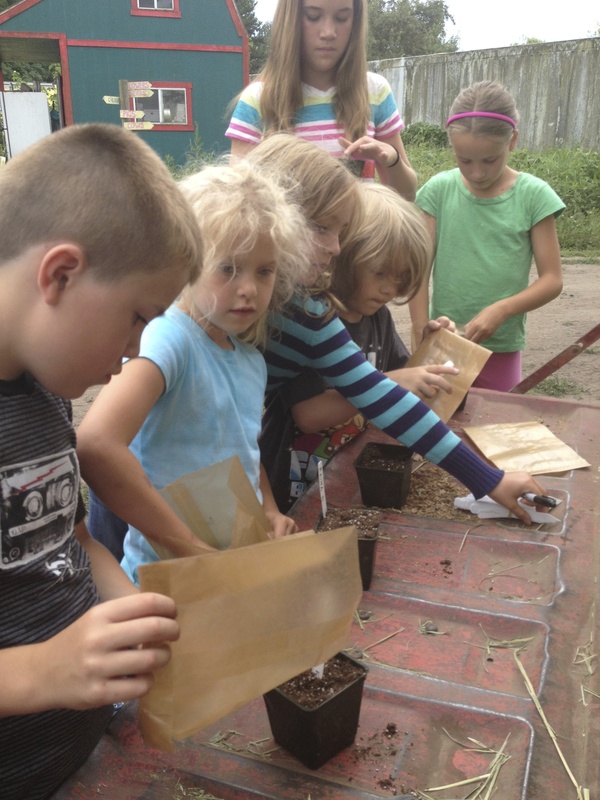 Farm Kids sowing their mystery bags of seeds, for future investigation. Learning how to handle baby chicks. 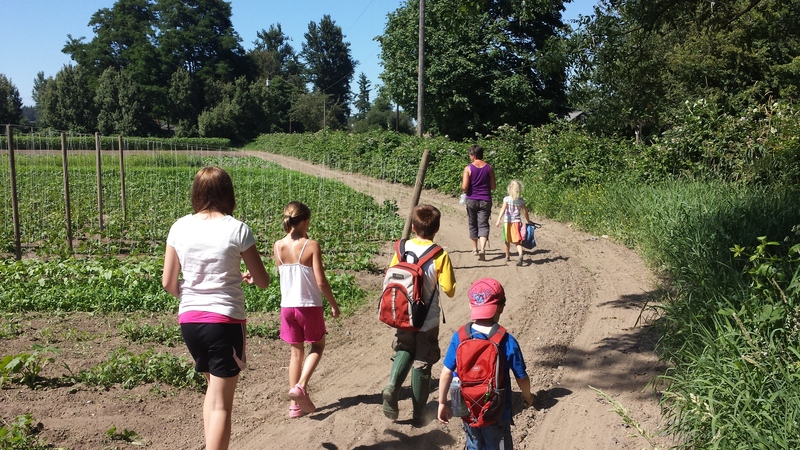 Touring the farm, looking for and sampling herbs and greens to put into their salad. 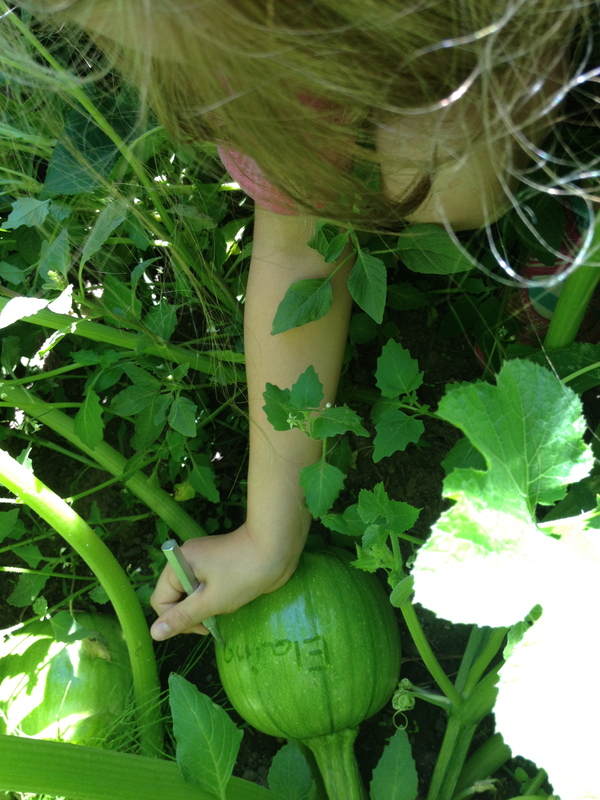 Inscribing a baby pumpkin…to find in the fall.